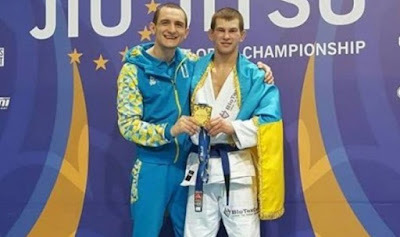 Ukraine is known for its strong sportsmen. And it concerns not only swimming and boxing sport branches. This year, Ukrainian fighter Yaroslav Blazhko has won the gold medal during the European Jiu-Jitsu Championship. It took place in Lisbon, Portugal. 24 year-old fighter confidently made his way toward victory. He won seven strong opponents, before reaching his gold medal.